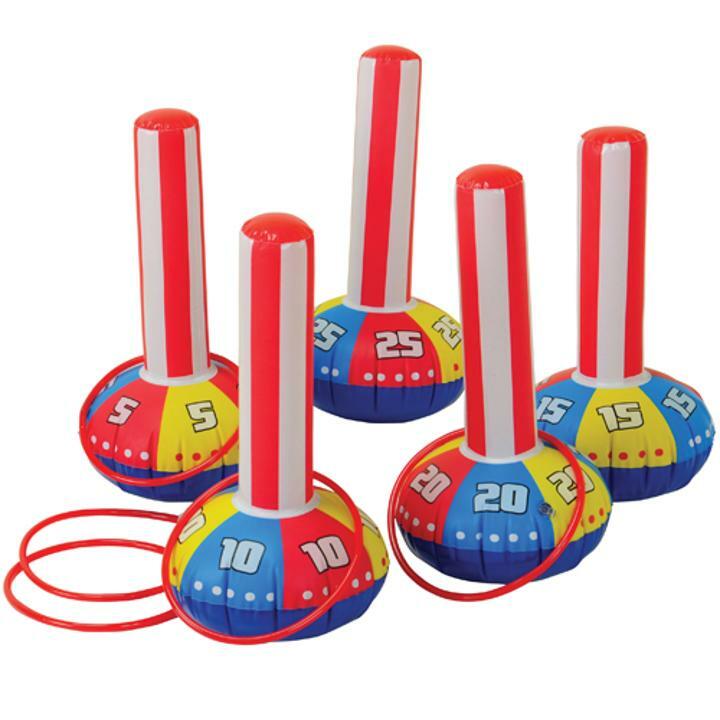 Cheap Inflatable Ring Toss Game - 10 Ct.
Inflatable Ring Toss Game - 10 Ct.
Add excitement to outdoor play, picnics, and more! Create some fun at your next carnival or party with an inflatable ring toss game. The inflates are weighted so they will stand up right. Assorted colors. Red plastic rings. Fun the whole family can enjoy! Set includes 5 15" tall inflates and 5 7 1/4" diameter rings. Carnival games aren't just for carnivals. Use them at your next birthday party or event and guests will have a great time. L: 8.8 in. W: 2.7 in. H: 8.3 in.